And it has been for a whole month already! I can't believe a whole month of the new year has already passed. Last year I jumped on the new year like a crazy lady, I've decided this year that I would just sneak up on it. 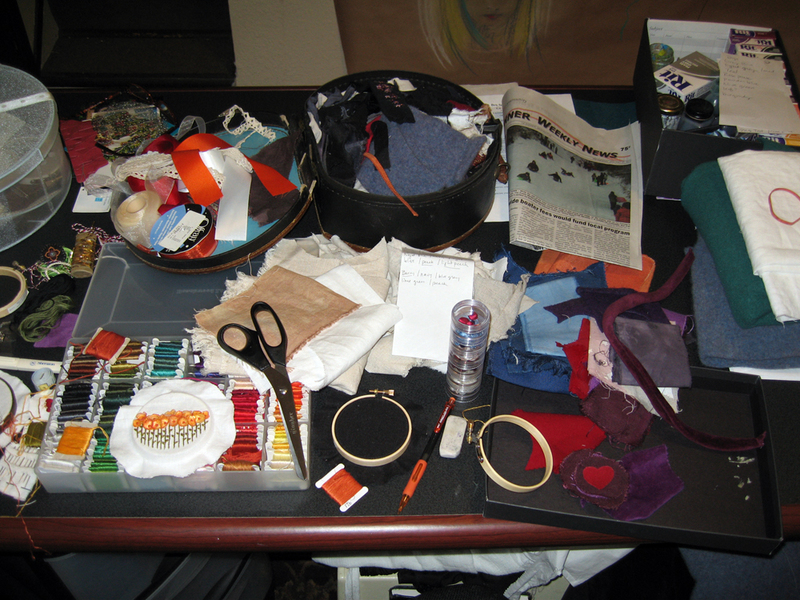 This is how my work space looks right now. Actually that's only part of it but I assure you the rest of it looks the same. I'm working on getting my shop stocked back up after taking a long break from stitching over the holidays (and most of January). See the skinny little newspaper in the top right corner of the photo? That's our tiny local paper and on the cover of the last edition was a photo of a bunch of people sledding. The city closes this one steep street in town every time we get a good amount of snow for "safety reasons" but really it's just so we can all go sledding. Anyhoo, my husband, son and I are in the group, my son thought it was really cool that we were on the front page. 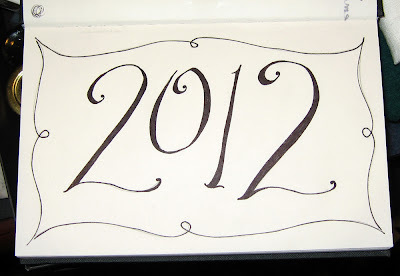 I hope you are all having a great beginning to 2012! how fun on the sled! I actually have bit of a fear on a sled. It stems back from when I was a kid on a sled and hit a tree. I would still get on, but i'm pretty cautious. 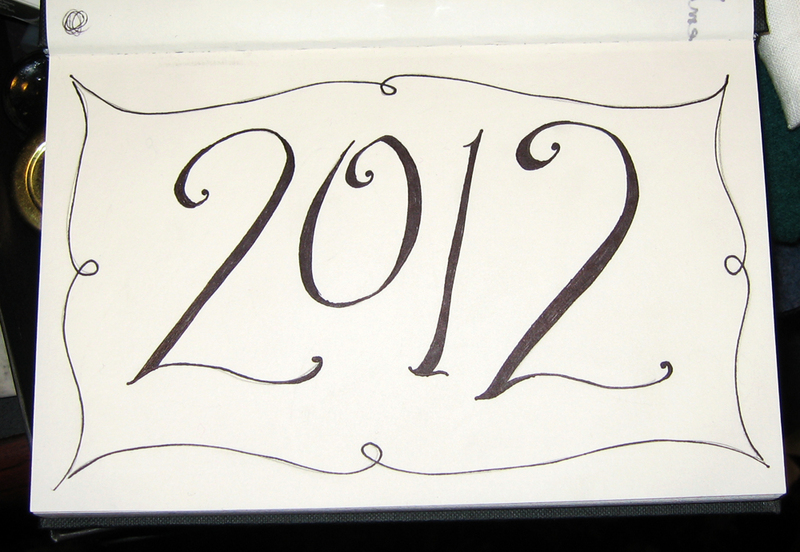 I love the fancy letters for your 2012, so french looking (to me)... ooo la la. I love to have a peak on workspaces.